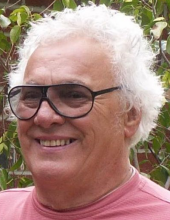 Ronald John Zanone, 81 of Wooster and formerly of Chatham, passed away Saturday, Sept. 1, 2018 at Pomerene Hospital in Millersburg. He was born Dec. 17, 1936 in Spangler, PA to John and Anna (Tomallo) Zanone. Ronald moved to Cleveland at age 18, where he met Dorothy Mason. They were married on July 12, 1958 in Cleveland and 10 years later they relocated to Chatham. Ronald worked as a welder at MTD and was also a machinist before he began work as a truck driver. He was a member of the Knights of Columbus and Our Lady Help of Christians for many years. He served as a Park Ranger from 1976 – 1980 for the Medina County Park District, and helped start a Cub Scout pack in Chatham. He retired from trucking in 1998 but continued working as a part-time farmer on his property in Chatham. Surviving is his wife Dorothy, with whom he celebrated 60 years of marriage this past July. Memorial contributions may be made to the Chatham Historical Society, 9143 Chatham Rd., Medina, OH 44256. "Email Address" would like to share the life celebration of Ronald J. Zanone. Click on the "link" to go to share a favorite memory or leave a condolence message for the family.